Apple's iTV: Netflix's Friend or Foe? If the rumors are true, Apple is readying a video-streaming device that would replace its much-maligned Apple TV, a decent if somewhat limited set-top box. The new model, possibly named iTV, could debut as early as next month, although the box itself might not ship until later this year. One of iTV's most compelling (alleged) features is that it would run iOS, the same Apple operating system that powers the iPhone, iPad, and iPod touch. This means that iTV users could run smartphone-like apps on their big-screen HDTVs. If true, iTV would represent a major break from Apple TV, which is tightly locked into iTunes. Netflix might very well offer one of the first iTV apps. After all, the video service already provides free applets for the iPad and iPhone/iPod touch. Netflix subscribers pay as little as $9 a month to stream an unlimited number of movies and television shows to their TVs and mobile devices. A first glance, Netflix and iTV seem like an odd pair, particularly if reports of Apple introducing 99-cent TV show rentals are correct. In reality, though, the two services would complement one another. Netflix is an all-you-can-watch subscription service, while Apple currently offers a la carte shows that users can buy or rent. The former's online video library is vast--well north of 20,000 titles--but it lacks most of the just-released films and current (e.g., this season's) TV shows available via iTunes and other online services, such as Amazon Video On Demand. Besides, Netflix's game plan is similar to Amazon's Kindle strategy. Both Netflix and Kindle deliver content to a variety of digital devices. 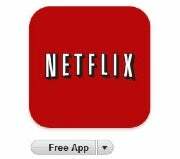 Netflix's software is preinstalled on numerous Blu-ray players, game consoles, Internet-ready TVs, and set-top boxes. Kindle's book-reader app runs on various smartphones, tablets, and PCs. One difference: Amazon sells a Kindle e-reader, but Netflix doesn't offer a Netflix-branded set-top box. Still, both services are largely platform-agnostic. To Netflix, Apple's iTV is just another platform. To Apple, Netflix's subscription business model wouldn't interfere with its movie/TV sales and rentals. Even if Apple and Netflix play nice, however, the online streaming business will soon be a Battle Royale once competing set-top boxes from Boxee and Google arrive. Who'll hit the canvas first?